How do you pick the next stock to invest in? One way would be to spend hours of research browsing through thousands of publicly-traded companies. However, an easier way is to look at the stocks that smart money investors are collectively bullish on. Hedge funds and other institutional investors usually invest large amounts of capital and have to conduct due diligence while choosing their next pick. They don’t always get it right, but, on average, their stock picks historically generated strong returns after adjusting for known risk factors. With this in mind, let’s take a look at the recent hedge fund activity surrounding Amazon.com, Inc. (NASDAQ:AMZN). Amazon.com, Inc. (NASDAQ:AMZN) has experienced an increase in enthusiasm from smart money in recent months. In the financial world, there are a large number of tools that stock traders employ to value publicly-traded companies. A couple of the most useful tools are hedge fund and insider trading sentiment. Experts at hedge fund tracking site Insider Monkey have shown that, historically, those who follow the top picks of the elite money managers can trounce their index-focused peers by a significant amount (see the details here). Now, we’re going to check out the key action regarding Amazon.com, Inc. (NASDAQ:AMZN). What does the smart money think about Amazon.com, Inc. (NASDAQ:AMZN)? Heading into Q4, a total of 113 of the hedge funds tracked by Insider Monkey were bullish in this stock, a change of 10% from one quarter earlier. With hedgies’ positions undergoing their usual ebb and flow, there exists a select group of key hedge fund managers who were boosting their stakes meaningfully. 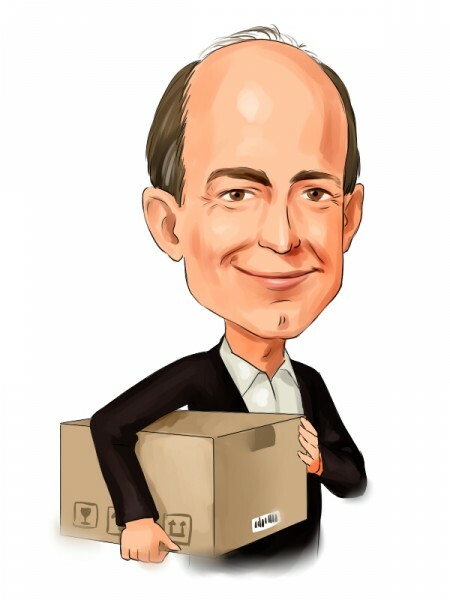 According to hedge fund intelligence website Insider Monkey, Chase Coleman’s Tiger Global Management LLC had the most valuable position in Amazon.com, Inc. (NASDAQ:AMZN), worth close to $1.6348 billion, amounting to 20.1% of its total 13F portfolio. The second largest stake is held by Viking Global, managed by Andreas Halvorsen, which held a $1.5448 billion position; the fund has 5.9% of its 13F portfolio invested in the stock. The remaining members of the smart money that are bullish include Ken Fisher’s Fisher Asset Management and Boykin Curry’s Eagle Capital Management. As one would reasonably expect, key money managers have jumped into Amazon.com, Inc. (NASDAQ:AMZN) headfirst. Lone Pine Capital, managed by Stephen Mandel, created the biggest position in Amazon.com, Inc. (NASDAQ:AMZN). Lone Pine Capital had 991.5 million invested in the company at the end of the quarter. John Overdeck and David Siegel’s Two Sigma Advisors also made a $174.4 million investment in the stock during the quarter. The other funds with brand new AMZN positions are Alexander Mitchell’s Scopus Asset Management, Stanley Druckenmiller’s Duquesne Capital, and George Soros’s Soros Fund Management. Let’s also examine hedge fund activity in other stocks similar to Amazon.com, Inc. (NASDAQ:AMZN). We will take a look at Nestle SA Reg Shs. Ser. B Spons (ADR) (OTCMKTS:NSRGY), JPMorgan Chase & Co. (NYSE:JPM), Novartis AG (ADR) (NYSE:NVS), and Wal-Mart Stores, Inc. (NYSE:WMT). All of these stocks’ market caps are closest to AMZN’s market cap. With the returns exhibited by Insider Monkey’s studies, everyday investors must always pay attention to hedge fund activity, and Amazon.com, Inc. (NASDAQ:AMZN) shareholders fit into this picture quite nicely.